When selecting a caterer you want to know the food is the very best, the presentation creative and that your guests will be suitably impressed. But, more than anything you want to know all the details have been taken care of and everything will be delivered the way that you want. 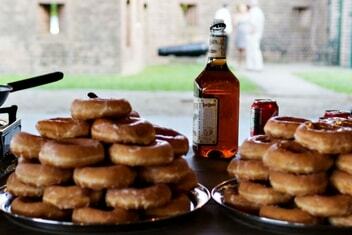 Savannah Event Catering specializes in large corporate gatherings, meetings and long-term events. Whether you need to serve 50 people for a week or serve 2,000 people in just one day, we can accommodate your needs. Let us take the lead and develop the ideal menu for your next business meeting or holiday celebration. Looking for something longer? Savannah Event Catering can design a rotating monthly menu sure to keep your employees happy with a tantalizing array of entrees, side dishes and desserts.